In 2005, West Elementary School and Elmwood Elementary School combined to form Twin Oak Elementary towards the South end of Mount Vernon, Ohio. The mission of Twin Oak Elementary is to withhold high standards for the performance of teachers and students and prepare each individual for life-long learning and success. Twin Oak Elementary School is a 400-student facility, offering 50 staff members to best tend to each pupil. Serving grades K-5, this school provides classes such as art, music, physical education, and book clubs! We've shared with you our custom drone footage that provides elevated views of the building and a unique perspective of the playground and surrounding area. The playground offers various jungle gyms, basketball hoops, 4 square, hop scotch, a painted United States map, plenty of grass area to play soccer, and more. Find a quick view of the Mount Vernon County Club and the lush greenery circling the school. 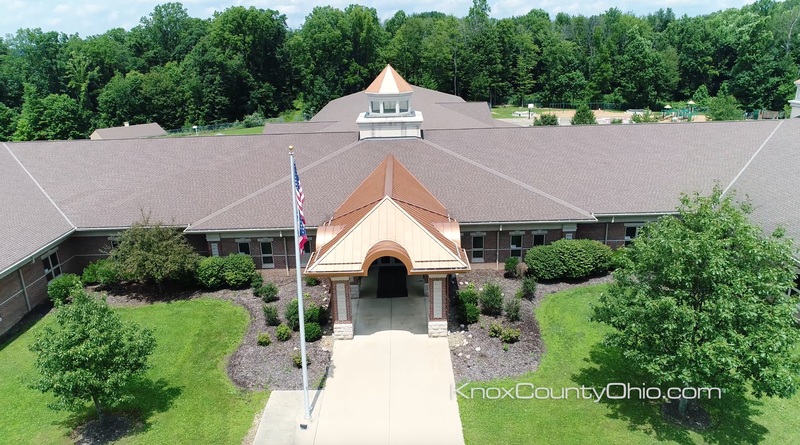 If you love the Twin Oak Elementary School, make sure to check out all of the homes for sale in the Twin Oak Elementary School District HERE.